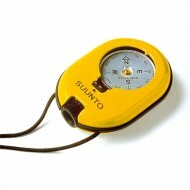 The Suunto KB-20 is a hand-bearing floating compass weighing only 40 g. It is an ideal instrument for marine, professional and outdoor use. 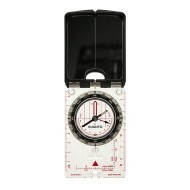 The Suunto KB-20 has an accuracy that is better than 1 degree, graduation is 1° and has reverse scale. The lens aperture of the KB-20 is restricted horizontall.. The versatile mounting possibilities and stylish rugged design have established the Orca as the leader among kayak compasses. Its luminous card can be activated by flashlight and stay bright for up to 20 minutes. 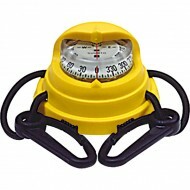 Br>Product Features : Fits kayaks of varying shapes & sizes Rubber cord and ..
An ergonomically designed multi-purpose floating mirror compass that combines precision with practicality.The MC range of mirror compasses provides an invaluable tool for those who place a particular premium on accurate and reliable directional measurements; for example surveyors, miners, architects..
A professional mirror compass for precise directional measurements.Mirror Compasses The MC range of mirror compasses provides an invaluable tool for those who place a particular premium on accurate and reliable directional measurements; for example surveyors, miners, architects, rescue patrols, hike.. The KB-14 hand-bearing compass is an excellent tool for mariners, foresters, surveyors and geologists and many others. 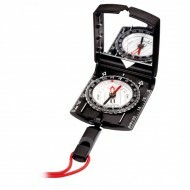 Suunto bearing compasses are designed to combine extreme accuracy with ease and speed of operation.Suunto bearing compasses are designed to combine extreme accuracy with ease and sp..
A professional mirror compass for precise directional measurements. 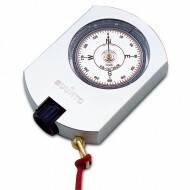 Mirror Compasses The MC range of mirror compasses provides an invaluable tool for those who place a particular premium on accurate and reliable directional measurements; for example surveyors, miners, architects, rescue patrols, hi..